Amazon Echo Plus (2nd gen) vs. Google Home: Which should you buy? The new Echo Plus is shorter and more compact while still packing in the all-important Zigbee hub that makes it the best starting point for converting your house into a smart home. In the same way that the first Echo Plus offered more functionality and features than the Google Home, the Echo Plus (2nd gen) has doubled-down by offering the same great features in a more compact and visually appealing package. With the Echo Plus, you can start connecting Zigbee-compatible bulbs, switches, outlets, and other smart home products right out of the box without needing to invest in a dedicated smart home hub. You're interested in upgrading your home with a ton of cool connected tech, but you've waited a few years just to let all the early bugs get ironed out. Now, it's 2018 and you're ready to start upgrading your house to smart home status. If this describes you, your patience has rewarded you with the second generation Echo Plus. For anyone who's already invested in Google products, whether we're talking Android or Chromecast devices, the appeal of the Google Home is that it's another Google product that, unsurprisingly, works really well with other Google products. The choice between Google Assistant and Alexa largely comes down to personal preference and brand loyalty, but in terms of pure functionality and style, the second generation Echo Plus straight up outclasses Google's first smart speaker in almost every aspect. Size 5.8" x 3.9" x 3.9" 5.6" x 3.8" x 3.8"
Pressure is really on Google to deliver an outstanding and affordable follow up to Alexa's smart home offerings because Amazon has been going full tilt on the hardware side of things. There are so many first-party Alexa-enabled products coming out in the next month coming later this year that makes Amazon's smart home ecosystem very inviting. Both Amazon and Google offer great support for an ever-growing list of connected smart home device to control your lights, lock your doors, and control appliances around your home, but the Echo Plus gets the advantage for including a Zigbee hub built right in. That means you can forgo buying an extra hub device to start building out your smart home and can spend your money on bulbs, switches, and whatever else. The Amazon Echo Plus is the easiest recommendation to make for someone just starting to invest in a connected home. Sure, you spend a bit more but as long as you're intrigued by Amazon's other product offerings, Alexa will be your best artificially-intelligent friend in no time. Be sure to select the option that includes a free Philips Hue smart bulb! 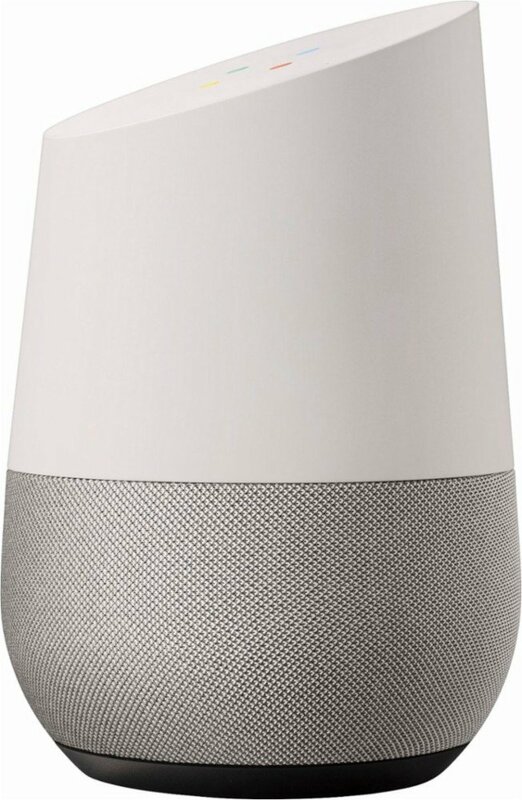 The Google Home speaker almost feels like a prototype compared to its competition at this point. 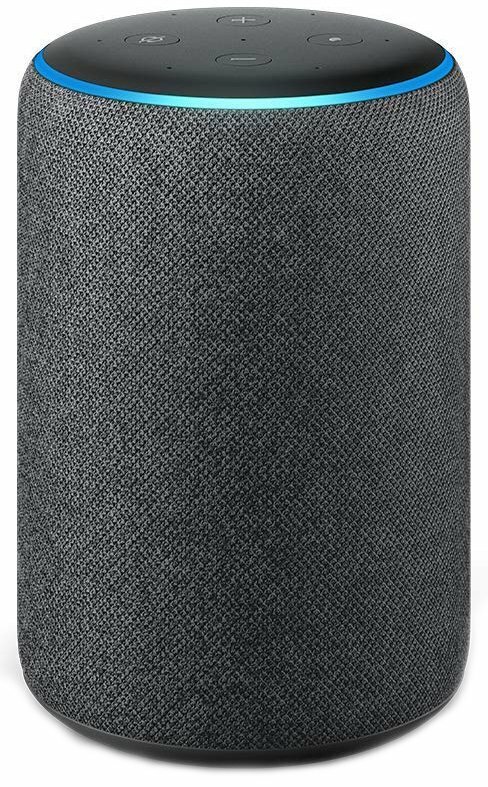 It's still a functional smart home accessory but simply lacks some hardware features found in Amazon's premiere smart speaker. Best Buy appears to be bundling in a Google Home Mini with each Google Home — a good deal for sure — but even two first-gen Google devices can't top an Echo Plus, so you're probably best off waiting for Google Home 2.0.